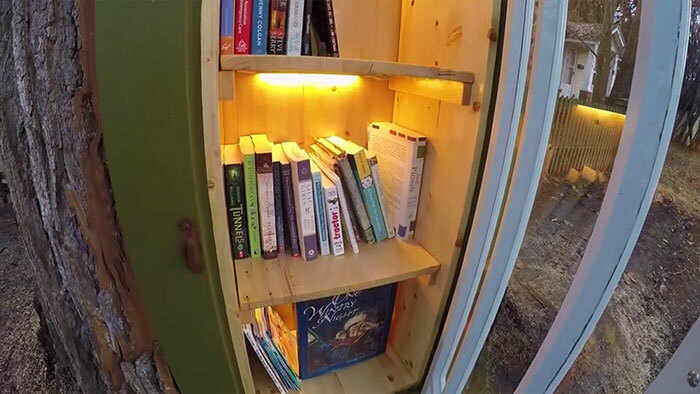 Giving new life to a 110 year old tree, Coeur d’Alene, Idaho resident Sharalee Armitage Howard has turned it into a mini library. 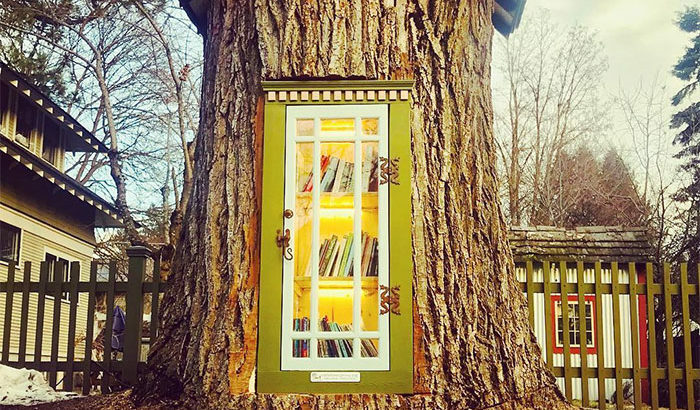 Yes, you heard that right, its a tree library in front of a her house. 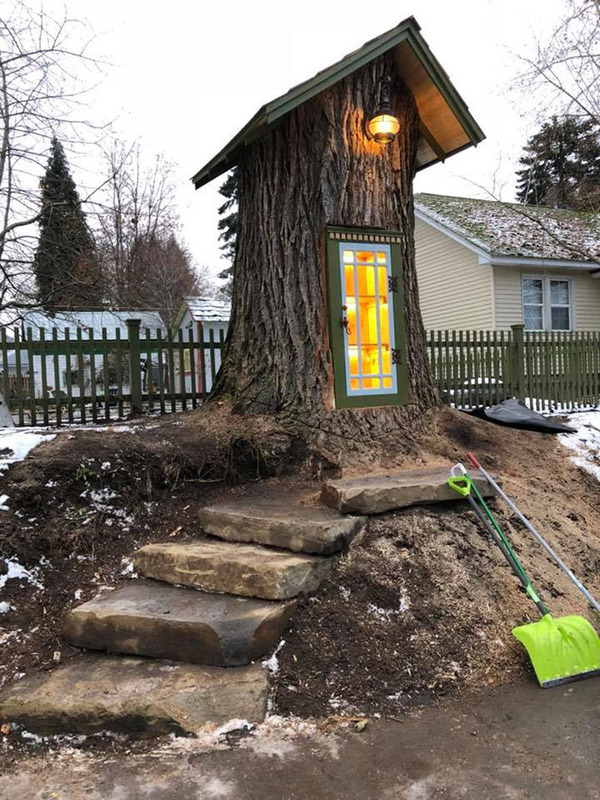 It was a huge cottonwood tree in their yard that had started to rot and the family was left with no other option than to get it cut. But, what they did with the leftover tree trunk is leaving the spectators amazed. 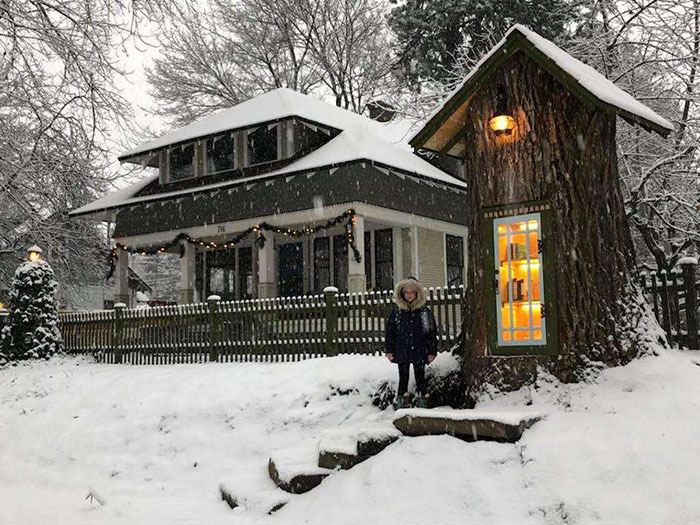 Firstly, the stump was carved out from the inside, topped with a roof and has cozy interior and exterior lighting that gives it a fairytale look. 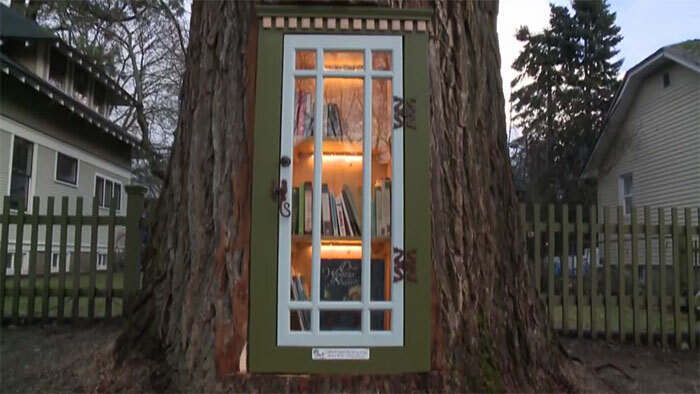 Pinned here are some of the images of the ‘Little Tree Library ‘ .